Imagine an open hut where you can spend the night. Perhaps somewhere you can paddle out to by kayak or canoe? Step onto the rocks after a somewhat windy crossing and then rest in a dry little cabin that will soon be warm. The Archipelago Foundation makes this dream a reality. We have a few small simple huts located throughout our areas. You are welcome to stay in these for one or two nights. They provide a place to sleep and an opportunity to heat food. Be prepared to share the hut with someone who has had the same idea as you that day. The huts at Kulans uddar and Myggskären cannot be booked so the rule is first come, first served. Two consecutive nights is the maximum time you can stay. 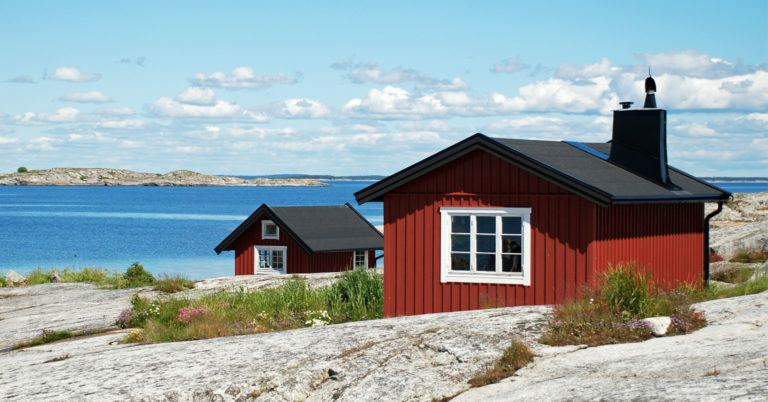 One of the foundation’s cottages with four beds for temporary overnight stays can be found at Kulans uddar on Bergbo Storö in the Möja archipelago. Two of the foundation’s cottages with four beds for temporary overnight stays is at Myggskären, 3.5 nautical miles south-east of Fjärdlång.